The Governing Council, at its Special meeting held on June 6, 2016, considered the report of the Joint Council and Senate Selection Board for the appointment of a new Vice-Chancellor for the University and decided to appoint Professor Ayobami Taofeek Salami as the eleventh Vice-Chancellor of the Obafemi Awolowo University, Ile – Ife, for a term of five years with effect from June 24, 2015. Professor Ayobami Salami, aged 52, hails from Ibadan, specifically from Akinyele Local Government Area in Oyo Central Senatorial District, Oyo State, Nigeria. 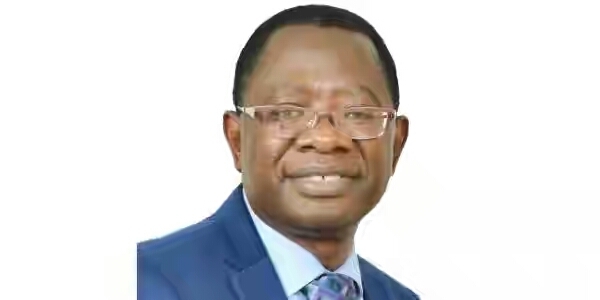 Professor Bamitale Omole, the outgone Vice Chancellor of the Obafemi Awolowo University (OAU) Ile Ife, Osun State, has said his administration achieved above set targets. Omole made the remark at a media parley where he gave account of his stewardship at the OAU Guest House in Lagos. 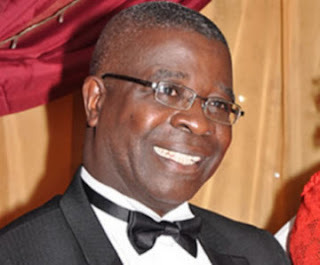 Professor Omole who was the 10th Vice Chancellor of the institution assumed the post in June 23, 2011, thus, his five-year tenure ended June 23, 2016. He divided the area of his achievements into Academic and research, ICT, Infrastructural development, Welfare of staff and work ethics and general aesthetic of the university. Here are some of the captured scenes of the yesterday's protest of non-academic staff of Obafemi Awolowo University. 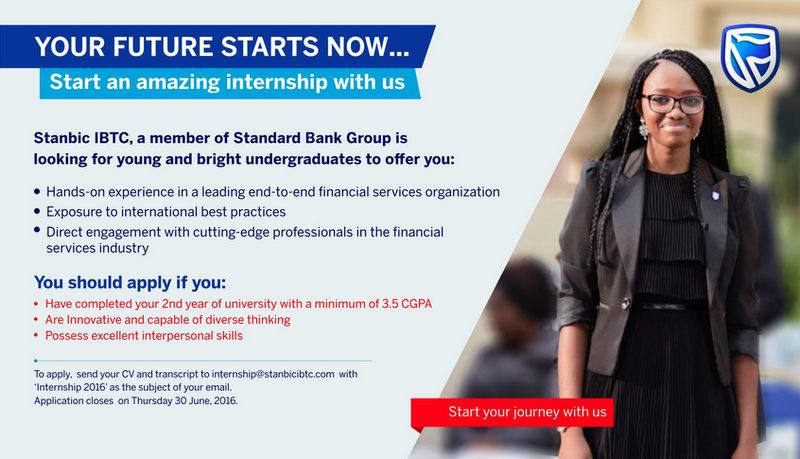 To Apply Send your CV and transcript to internship@stanbicibtc.com with ‘Internship 2016’ as the subject of your email. 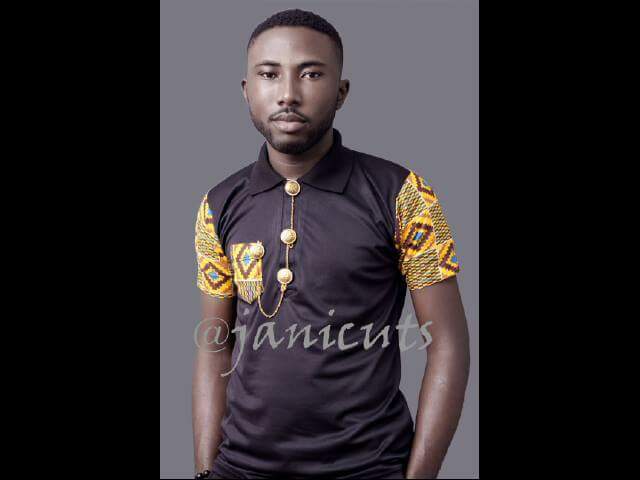 As the students of Obafemi Awolowo University continue to exit the University community to their various homes, the CEO of JaniCuts fashion line and alumnus of the institution, Ajani Oluseyi a.k.a JaniCuts has given the affected students some important tips on how to maximize the break period. Janicuts urged the students not to see the break as a free time to engage in frivolities, rather it should be viewed as a challenge to add more in value to themselves. The students are also advised to go for engagements outside their course of study; like crafts, trades, volunteer works and related activities. According to Janicuts, students stand a better chance of securing jobs in the current Nigerian situation if they are able to add extra skills to their educational qualifications. The Chief Security Officer (CSO) of the Security Committee of the suspended Obafemi Awolowo University Students’ Union, Comrade Olumighty, who has been handling affairs related to the Union has come out to also speak on the shutdown of the University. In an 8-paragraph Release signed by Olumighty, the Committee condemned the abrupt notice that students should evacuate Halls of Residence latest by 12:00pm today. Students were also advised to travel at their convenience. It is no longer news that the university authority in the usual manner reacted to the recent workers' actions and inactions through an announcement in the radio by the registrar followed by a circular by the division of student affairs by shutting down the school. After spending all night at the University Senate Building, the protesting members of the Non-Academic Staff Union of the Obafemi Awolowo University, Ile-ife have started celebrating the exit of Professor Bamitale Omole, whose tenure as Vice-Chancellor ends today, in very unusual ways. 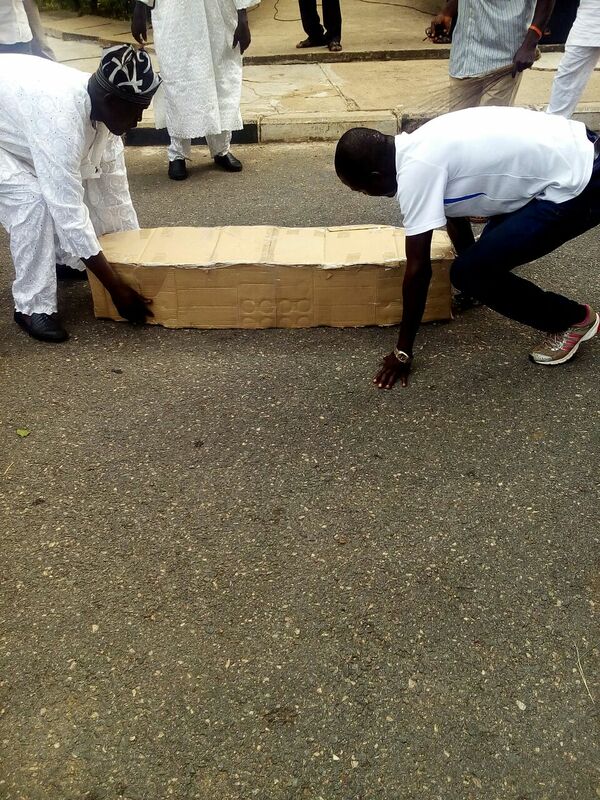 Members of the Union were dressed in white attires as they carried an ersatz coffin and danced around the Senate Building with brooms. Some others were also frying bean balls (akara) at the building. Today, 22nd of June,2016, we received with huge sadness and shock the closure of Obafemi Awolowo University till further notice. Following the shut down of the school, the protesting members of the Non-Academic Staff Union have promised to remain at the University Senate Building overnight. As at the time of compiling this report, the workers were still at the Senate Building blaring and enjoying music. Also consequential to the scuffle that has ensued over the past weeks, many speculations have begin to arise regarding the recent closure of the school and alleged sack of NASU OAU Executives. Some believe the management is finding a way to organise a peaceful swearing-in for the announced candidate for the June 23 handing over by Professor Omole, even despite the said injunction of the Court, which is to have another hearing on the 6th July, 2016. As different speculations continue to arise following the dramatic turn of events in the last few hours, OAU Peeps News Agency promises to endeavour to continue to adequately keep the general public informed about the eventual happenings as they unfold. 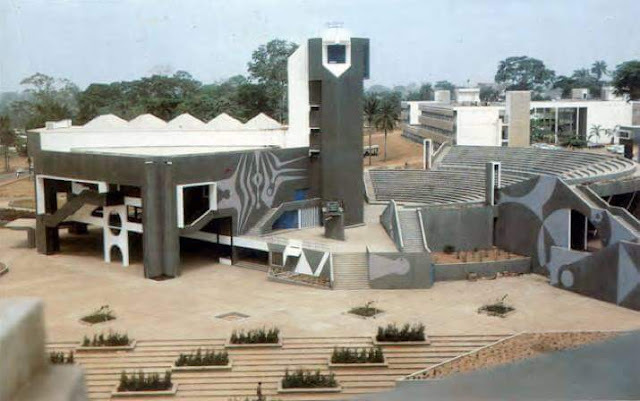 The national leadership of the Non Academic Staff Union of universities (NASU) has dissolved the leadership of the Obafemi Awolowo University (OAU), Ile-Ife branch of the union. The National Executive in a June 21 letter cited continued violation of the union’s constitution in the ongoing crisis over the appointment of a new Vice Chancellor for the institution as the reason for the sack. It accused the branch leadership of carrying out protest and industrial action without the permission of the national leadership, adding that it acted in disregard to its earlier plea for leniency in a recent meeting with the General Secretary at its Ibadan liaison office. The letter, signed by the General Secretary, A. Adeyemi, said the dissolution of the Executive takes effect from June 20. It directed the leadership of the OAU branch to hand over properties in their care to branch financial secretary. 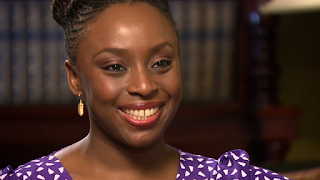 I am a huge fan of Chimamanda Ngozi Adichie. Beyond her literary prowess, both oral and written, I respect her in-depth consciousness of the world around her. The ability to notice the so called “little things” in the society and forge them into a story worth listening to is a very rare character, most especially in this part of the world. One of the ideals which I share with Chimamanda is her stance on the equality of the Homo Sapien; the belief that everybody can and should be treated equally at least to a reasonable extent, irrespective of some superficial factors like gender and race. According to a post on the University's eportal, the last batch of the Final Year Students Accommodation will be released online tomorrow, Wednesday 22nd June, 2016 by 8:00am. Finalists should please take note. Admission into the JUPEB Programme 2016/2017 Session Applications are hereby invited from suitably qualified candidates for admission into Joint Universities Preliminary Examinations Board (JUPEB) programme for 2016/2017 Session. The management of the Obafemi Awolowo University, Ile-ife has directed the members of the protesting members of NASU and SSANU to resume work or risk not getting their June salaries. This was made known in a release signed by the University Registrar, D.O Awoyemi. who claimed that the Unions did not declare any Trade Union dispute. 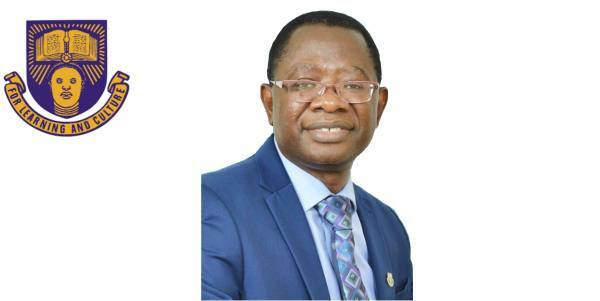 However the workers have been on an indefinite strike following the alleged illegitimate appointment of Prof. Ayo Salami as the eleventh Vice-Chancellor of the University. It has just been brought to the notice of the management of OAU Peeps News Agency that a post is being spread with the above headline. The post is signed by one Mr. Bayo Adewale and on the post is a signature "OAU PEEPS". We hereby use this medium to inform the general public that the Agency is in no way involved with both the post and the said Mr Bayo Adewale. UI To Be Shut Again? THE UNIVERSITY OF IBADAN MANAGEMENT TO EXPERIENCE THE NEW DEFINITION OF THIRD "C" OF ALUTA AS THEY HAVE FAILED TO HONOUR THE FIRST AND SECOND "C". It's no news that a leader that stands aloof to his people is a puppet. The attention of the executive council of National Association of Nigerian Students Joint Campus Committee (NANS JCC), Oyo State was drawn to verdicts of the Students' Disciplinary Committee (SDC) sitting which took place on Wednesday 30th of May, 2016 at the University of Ibadan. 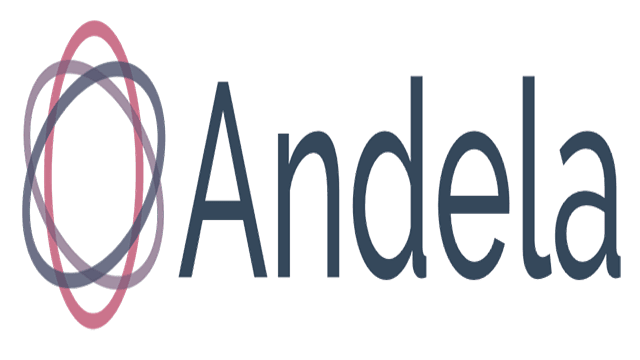 The Management of the Centre of Distance Learning of the Obafemi Awolowo University has released the second contact test results of its Pre-degree students. check their results on the notice board as soon as possible. OAU Peeps News Agency wishes all the Pre-degree students the best as they gradually come to the end of their programme. submission of applications was 26th January, 2016. Amidst NASU protests,the governing council of the Obafemi Awolowo University had finally made the appointment of New Vice Chancellor Official. In a release made to the public, dated June 17, 2016, by the University Registrar and Secretary to the council, O. Awoyemi, confirmed Professor Ayo Salami as the New Vice Chancellor. “The Governing Council, at its Special meetingheld on June 6, 2016, considered the report of theJoint Council and Senate Selection Board for theappointment of a new Vice-Chancellor for theUniversity and decided to appoint ProfessorAyobami Taofeek Salami as the eleventh Vice-Chancellor of the Obafemi Awolowo University, Ile-Ife, for a term of five years with effect fromJune 24, 2016." The Secretary of the Education Rights Campaign OAU branch; Comrade Omole Ibukun has beseeched students to join the current industrial actions embarked on by the members of NASU and SSANU. He made this public plea during a public meeting which was said to be organised in remembrance of the Genocide that occured during a students march against apartheid in Soweto, South Africa some 40 years ago. The secretary of the ERC further opined that all the Unions on Campus were fighting for the same cause, that if all unions could aggregate their demands, the protest would be successful. However the programme which was publicised to some reasonable extent saw just a few students in attendance and when asked by our correspondents for likely reasons for this, the Secretary commented that a little number of people start large transformations.